After acquiring his rights from the New York Rangers on Monday, the Florida Panthers have inked defenseman Keith Yandle to a seven-year, $44.45 million contract with an average annual value of $6.35 million. The contract has a no-movement clause for the first six years and a limited no-trade clause in year seven, per ESPN’s Craig Custance. Yandle, 29, is coming off a strong year with the Rangers in which he tallied five goals and 47 points in 82 regular-season games. He was set to become an unrestricted free agent July 1. 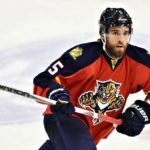 The Panthers sent a 2016 6th-round pick and a conditional 2017 4th-round pick to New York in exchange for Yandle’s rights, a move that now looks like a steal considering the interest Yandle would have generated in the open market. Considering Yandle’s offensive production and puck possession statistics, a $6.35 million cap hit is quite reasonable, especially considering he’s coming off a five-year contract with a cap hit of $5.25 million. It makes you wonder why the Rangers passed on him. Perhaps it was the term of the deal at seven years that Rangers general manager Jeff Gorton shied away from. It also very well could be the no-movement clause since former Rangers general manager Glen Sather did not believe in such restrictions. The Rangers only had to absorb $2.625 million of Yandle’s cap hit over the past two seasons because the Coyotes retained 50 percent of the cap charge as part of the original trade-deadline deal. However, the Rangers’ window of winning a Stanley Cup with goaltender Henrik Lundqvist is closing, so it’s somewhat surprising to see the team let Yandle walk. 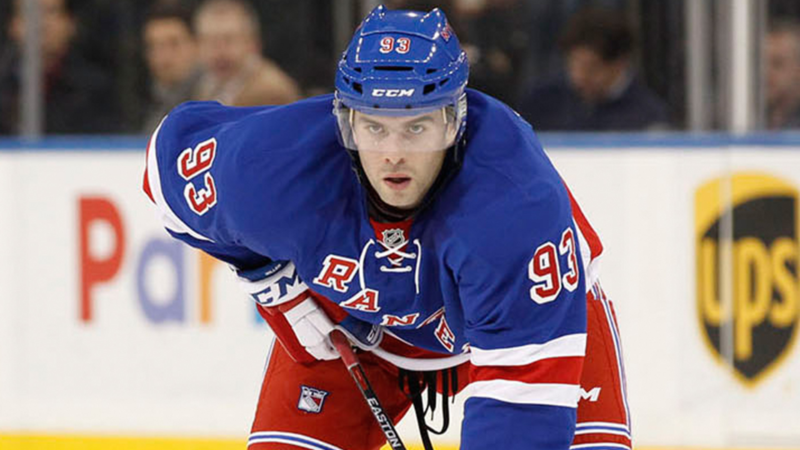 In any case, the Rangers will miss what Yandle brought to the club. The Panthers, on the other hand, have taken one more step in the right direction. 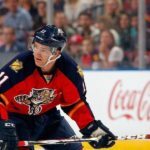 Veteran defenseman Brian Campbell is on his way out of Florida after five seasons with the Panthers at a cap hit of over $7 million. The fact that Yandle’s contract is more favorable to the team’s current cap interests than Campbell’s makes this a smart deal, at least for a good chunk of the contract. There is definitely risk involved in signing a player to such a long contract, especially since Yandle will turn 30 before the start of the regular season. However, Panthers general manager Tom Rowe recently explained that the team is in a win-now mode and that all moves made this offseason will reflect that mentality. The Yandle signing is definitely part of that plan. Yandle will bring a lot to Florida, especially to the team’s power-play, which ranked 23rd in the NHL with a 16.9 percent conversion rate this season. Yandle has scored 31, 29 and 22 power-play points in the past three seasons, respectively. His 168 career regular-season power-play points make up 45.5 percent of his career regular-season point totals. Yandle has been one of most productive defensemen in the league for many years. In fact, his 325 points since the 2009-2010 season rank third behind only Duncan Keith’s 330 and Erik Karlsson’s 385. Keith and Karlsson each have multiple Norris Trophy wins as defenseman of the year, and while Yandle can’t be compared to those players, he certainly has a lot to offer. Yandle has 72 goals and 369 points in 661 career regular-season games with the Coyotes and Rangers. He has 6 goals and 31 points in 51 career playoff games, including one goal in five games in the Rangers’ first-round series loss to the Penguins this postseason. Yandle scored 2 goals and 11 points in 19 games in the Rangers’ 2015 Stanley Cup run, which resulted in an Eastern Conference Finals loss to Tampa Bay.